Signature and custom cakes for life's celebrations - birthdays, fancy dinners, anniversaries, weddings, or a simple get-together with friends. Let me help you be the hero of your next party. Bring on the cake! Each cake is a flavourful treat! Here are some of my favourite combinations to get us started. Message me and I’ll bring your cake cravings to you. Need a cake for an ultra-special event? Have a unique flavour request? Want to see your wild design idea realized? Contact me for a custom cake. All cakes are made to order with real ingredients, sourced locally whenever possible - no fondant, no artificial flavours or preservatives. Orders can be made by messaging me here, or by email or phone. All cakes are freshly made to order. Please allow at least 5 days' notice for signature cakes. For custom cakes, such as wedding or baby shower cakes, please contact me as soon as you know your event date in order to secure a booking. If you require emergency cake let me know and I'll always do my best to help! Located in Lesieville, Toronto. Local delivery is available. This special extra-tall cake is 12 torted layers of chocolate cake filled with marshmallow Swiss meringue buttercream and covered in a concrete finish with a touch of gold leaf. A custom vanilla cake filled with chai tea infused French buttercream. The blues and gold leaf matched the maids of honour and groomsmen. The green foliage was drawn from the design of the wedding invitation. It’s truly an honour for me to create a cake that includes details like these to help celebrate such a special day. This custom two-tiered vanilla raspberry cake is filled with raspberry puree and French buttercream and topped with garden fresh mint and black raspberries. This custom flavour was created for a special women’s weekend away. 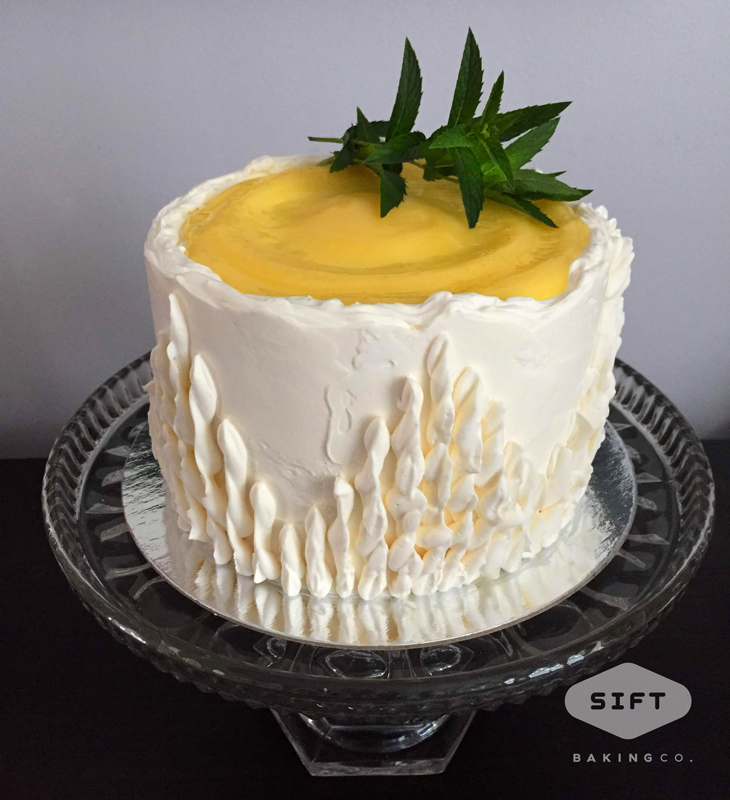 Light lemon infused sponge, a tequila sugar soak, and tequila Swiss meringue buttercream. Topped with zesty fresh lime curd and a sprig of garden fresh mint. Soaked in Kahlua, this dark chocolate cake is filled with whipped whiskey ganache and covered in Kahlua Swiss meringue buttercream. Brown sugar buttermilk cake filled with apricot preserves and covered in textured honey vanilla cardamom Swiss meringue buttercream. Sugar glass and honey caramel drip complete the top. 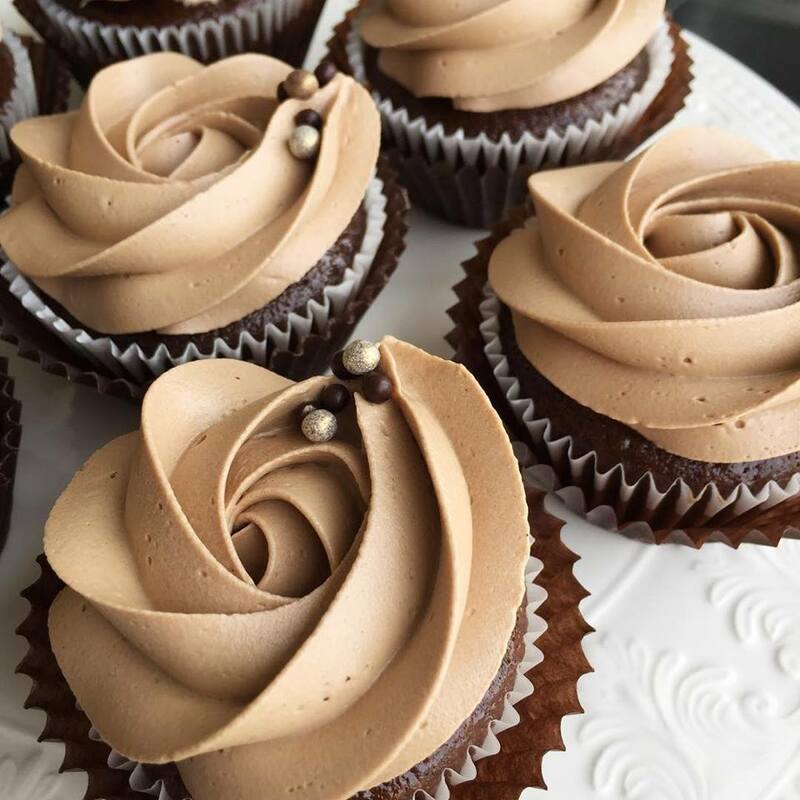 These lovelies have a hidden pocket of salted caramel right in the middle, and silky smooth Belgian chocolate Swiss meringue buttercream swirls. This strawberry lemonade cake is topped with lovely fresh flower buds and surrounded by lemon buttercream, meringues and sprinkled with pink pitaya (dragonfruit) powder. Summer lives in this lemon butter cake! It’s filled with a mix of fresh raspberries and blueberries and topped with sweet lemon curd plus a few mint leaves straight from our garden. 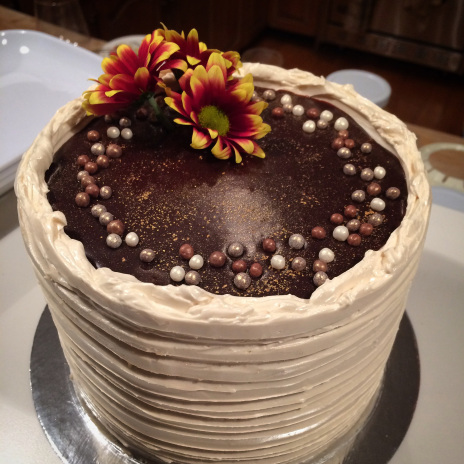 Four layers of delicious date cake soaked in brown sugar toffee and roughly covered in vanilla bean buttercream. I’m a self-taught cake designer and baker who is passionate about both the art and science of food. I paint and sculpt with buttercream and I love how adding a bit of heat to simple, real ingredients can create pure gold. Why sift? When I was a younger baker, sifting was the step that I would always skip. It simply stood in the way of getting those delicious baked goods into my mouth! Now that I’m more seasoned, I look at sifting as part of the ritual of baking. It reminds me to slow down, be patient. Don’t rush the process. It’s a good lesson for life. In the end, this patient practice gives us a lighter, finer, more tender result. Have fun creating a show-stopping cake with your little chef! 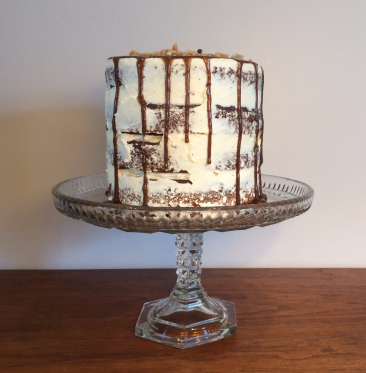 In this hands-on workshop, grown-ups and kids will partner up to stack and fill a delicious cake with yummy fillings and decadent buttercream. Work together and see who really shines in the kitchen! Final coat and decorate using buttercream, candies and lots of sprinkles! PLUS you’ll receive my best recipes and access to me for follow-up questions when you’re back home in your kitchen. Thank you for your interest in this workshop! You will receive a follow up email shortly. All cakes are freshly made to order but please allow at least 5 days' notice if possible. If you require emergency cake, I'll always do my best to help! Thanks for reaching out! I check my messages in between batches. Talk to you soon!